The best summer constellation for children to find in the sky is the Big Dipper. If you can find this in the sky and show it to your children, that is just about all that you need to know to get started. 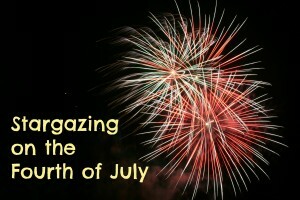 For more background, check out the Stargazing Basics section or This Week’s Sky at a Glance. You can also talk about the similarities and differences that you see in the stars. Are they all the same color? brightness? size? distance from Earth? How is our Sun like these stars? How is it different? See if you can locate the three brightest stars in the southern sky, that form the Summer Triangle (print off the Summer Sky Map for help). Ask your children what they know about the stars and which constellations they have heard of. If you ask these types of questions, you might find your children asking you to find out the answers, or looking up the answers on their own! One of the trickiest, yet most important, Astronomy concepts for children to understand is the Earth-Moon-Sun relationship. The idea of rotation and revolution, while extremely basic, is the foundation of understanding motion in our solar system. These three objects have the greatest impact on our lives– the Moon orbits the Earth and the Earth orbits the Sun. The Earth rotates on its axis (once every 24 hours) and causes the Sun to rise in the east and set in the west. The moon orbits the Earth (once every 29 days, in respect to the Sun), causing lunar phases. Having children construct a model is one of the best ways to help them understand these motions. You can purchase the activity here and have your child assemble the model below– you only need paper, scissors, and two brass paper fasteners. You can also have them act out these motions. Tell your child that you will be the Sun, she will be the Earth, and have her hold a ball (representing the moon). Then ask her to orbit around you, representing a year. Then she can add in the orbit of the moon around her (the Earth). Once she has these two motions down, she can combine them. You can ask her to try and fit 12 full revolutions of the moon around her, while orbiting the Sun only once– it gets a little tricky! 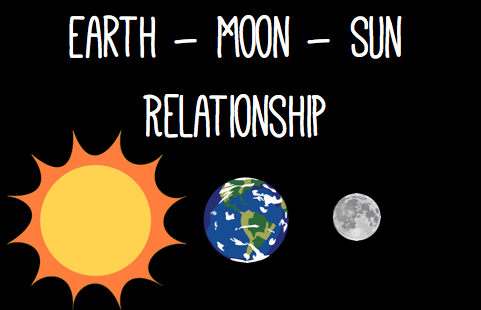 There are many ways to help your child understand the Earth-Moon-Sun relationship. 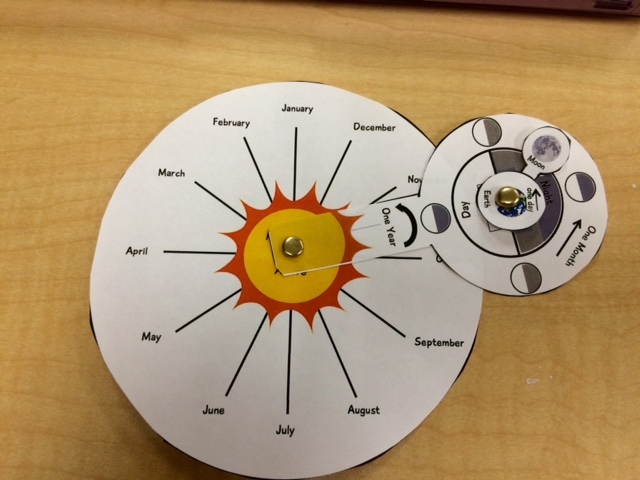 Once they have the basics of rotation and revolution down, they are ready for season and lunar phases! 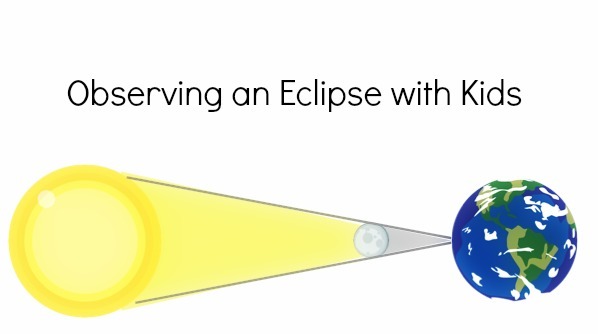 The chance to see an eclipse event in the sky is a wonderful opportunity to get children excited about astronomy. On Thursday, October 23rd, millions of us in the United States will have the chance to see a spectacular partial solar eclipse. Unlike a total eclipse, only part of the sun is covered by the moon during a partial eclipse. 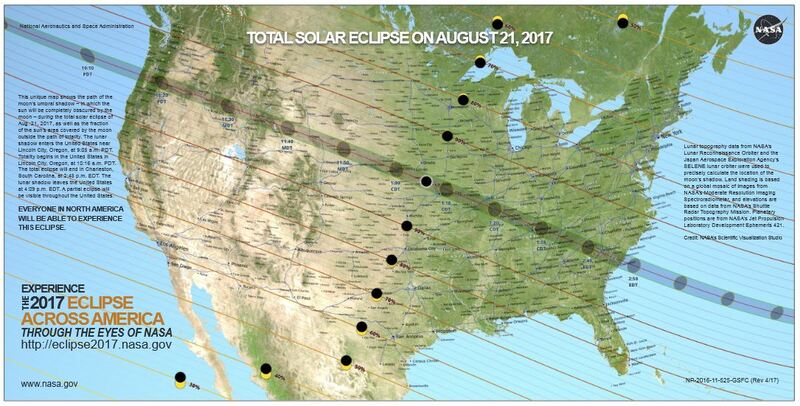 The map below (from http://eclipse.gsfc.nasa.gov/eclipse.html) shows that unless you are in the extreme northeast of the country, you should have a view of the event. Never look directly at the sun with your unaided eyes, through binoculars or through a telescope– serious damage can occur. Sunglasses are not enough! 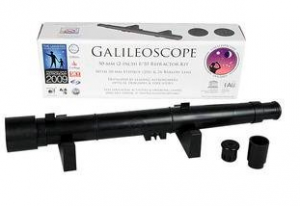 You can find solar filters for binoculars and telescopes from many different sources. If you purchase a solar filter sheet, you can customize a filter for your own scope. You can also purchase a pre-made filter to fit the size of your scope. I prefer simple solar shades for eclipse viewing for children. The Solar Eclipse Explorer site from NASA is my favorite place to find specific eclipse times. After selecting your geographic area, you enter your city coordinates (latitude, longitude, altitude & time zone) and click on our current century. It will generate a list of eclipses for this century along with beginning, maximum, and ending times for your location. This is a great way to make sure that you are looking up at the right time! For those of us in the eastern part of the United States, the event will be cut short by the setting sun. Because the sun will be low in the western sky for most of us, it is important to find a vantage point with a good view of the western horizon. 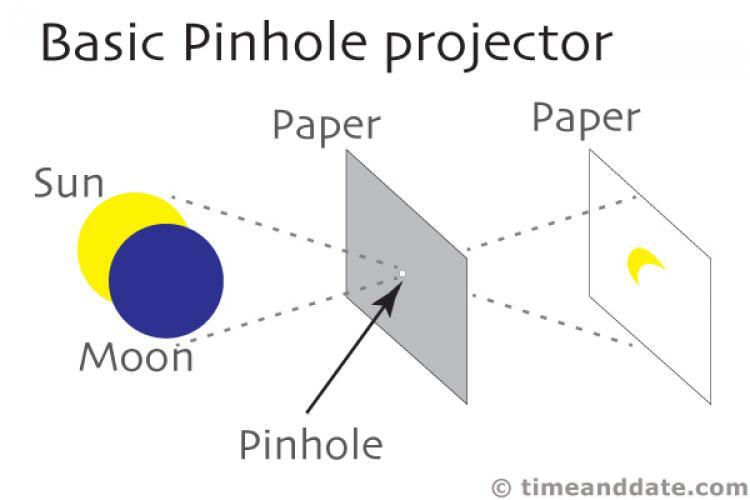 The best thing that you can do to prepare kids to view the partial solar eclipse is to help them understand the Earth-Moon-Sun relationship during this event. During a solar eclipse, the moon is between the earth and the sun. (This is different than a lunar eclipse, which is when the earth is between the sun and the moon.) A solar eclipse is when the moon blocks out the sun, from our vantage point here on the earth. A “partial” solar eclipse just means that the moon will not be blocking the sun completely at any point. Here is a great video of Bill Nye the Science Guy explaining eclipses. Eclipse viewing is such a great (and easy!) 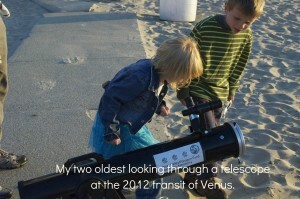 opportunity to share an astronomy experience with your children. As long as you are prepared for safe viewing, give it a try on October 23rd! You don’t have to be an expert astronomer to stargaze with your kids; you can learn right alongside them. 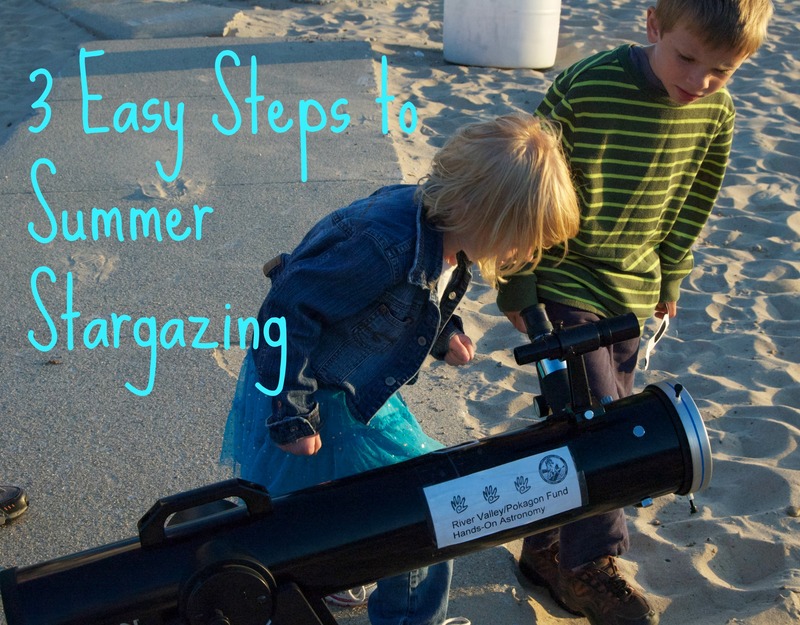 Stargazing as a family can be a lot of fun, but what you do need is time and patience—if you have a hard time locating objects in the sky, imagine how hard it can be for a 6 year old! The most important thing that you can do for your child is to help them to appreciate the beauty of the night sky, and to help them become children who look up and wonder. One of the roadblocks for parents stargazing with their children is the timing—it obviously has to happen at night, right? While actual “star”gazing needs to happen when it’s dark, there are some astronomical events that can be seen in the daytime such as eclipses, viewing the moon at certain phases, and rare planet transits across the sun. These can provide some great introductory opportunities for children, but the real excitement definitely happens at night. It is certainly a great idea to learn a constellation or two, or find out which planets are in the sky so that you can point them out to your children on the way to the car after seeing a late night movie. 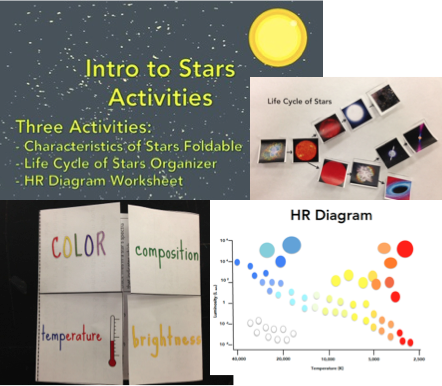 These can be great learning opportunities for your children, but to really inspire a sense of wonderment about the sky, you need to be intentional about setting aside “stargazing time”. If you are a family that regularly camps, this can be a great time to stargaze. You are often already up later than usual, and normally in a dark area away from city lights. Another idea is to set up a “family stargazing party” in your own backyard or someplace close to home—just keep in mind that the amount of light around will determine how many objects you will be able to see in the night sky. The best way to ensure a positive experience for you and your child is to provide a relaxing and cozy setting. Standing up with your neck craned to look up is only comfortable if you plan to be out for just a short time. If your plan is to be out for longer than a few minutes, have a blanket to lie down on or reclining beach-style chairs to relax in. 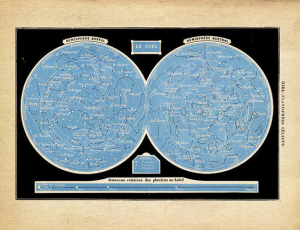 Have with you any materials that you might need—a planisphere, a current night sky map, a flashlight (paint the lens with red nail polish so that it’s not too bright), and guidebooks from the local library. 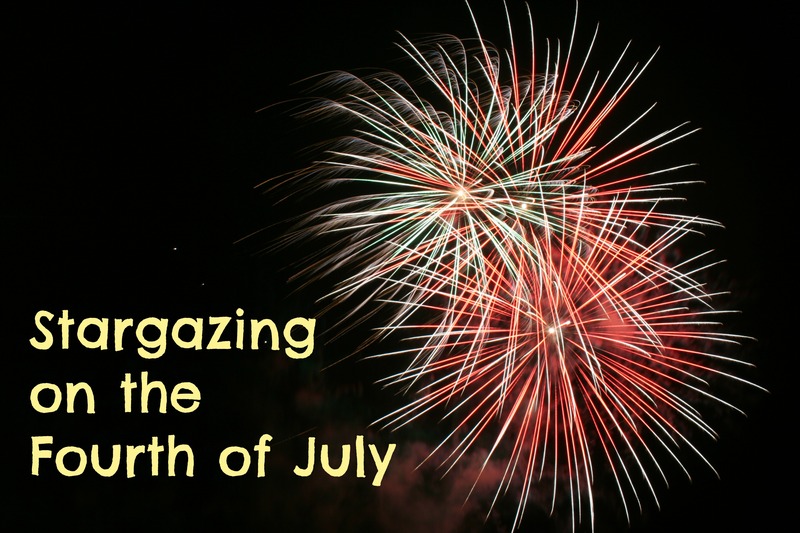 Snacks are a great thing to have for children if they start to get bored—why not go with the theme and get Moonpies or make Meteorite Krispie Treats. This can inspire a lot of fun with young children, and you can re-name almost anything with a “space” name— i.e. “Cosmic Crackers” or “Martian Milk Chocolate”. For older children, bring their favorite snack along as a special treat. 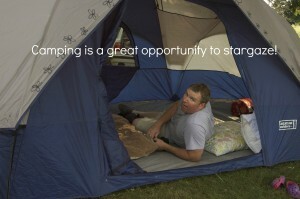 While a nice summer night is probably the most comfortable, consider stargazing in the winter. 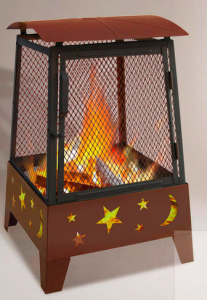 Early winter nights are ideal for children who have earlier bedtimes. Just put on your winter gear and don’t forget the hot chocolate! While we would all love for our children to have the time of their lives gazing up at the sky for hours, this might not be a reality for most children. Have some things planned other than just stargazing. 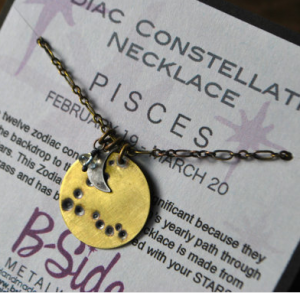 Bring along your Stargazing Diary and Constellation Cards. Have your iPod programmed with a special playlist of space-themed songs, or just a few of everyone’s favorites. 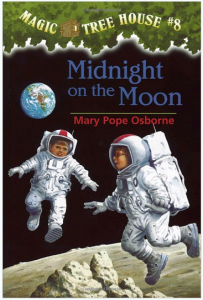 Check out a few astronomy books from the library and take some time to read various constellation myths. Whatever you do, please take this time to put away the media devices! This is a great opportunity to “unplug” with your child. Resist the temptation to quickly check your email or send that text that you forgot about earlier in the day. Your children will take your lead on this. If bring your laptop along, it won’t be long before they are begging to watch that YouTube video or check Facebook. Stargazing with small children (8 and under) is very different than with older children. Smaller children will most likely not be able to stay up as late as older children. This doesn’t mean that you have to wait until children are older to begin stargazing—start with some of those daytime events such as eclipses and looking at the moon during the day. Discuss where the sun rises and sets, and how high it is in the sky that day. (Remember, the sun is our nearest “star”!) When you do have an opportunity to have your young children up past sunset, aim for shorter stargazing periods—15 or 20 minutes of looking up at the sky is suitable for children 8 and under, especially for the first few times out. Keep the developmental stage and attention span of your children in mind as you begin to look at constellations and other objects. I have found that one or two new constellations are about all that most people (including adults!) can remember at a time. It’s best to focus on remembering one constellation than introducing 7 or 8 that you can’t remember. The ability to “connect the dots” of a constellation in the sky can be very hard for children depending on their developmental stage. 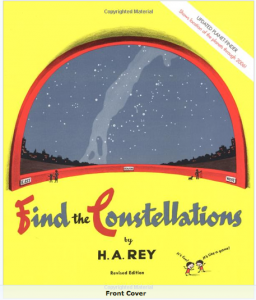 For children who have a hard time “seeing” the constellations, encourage them to find their own. 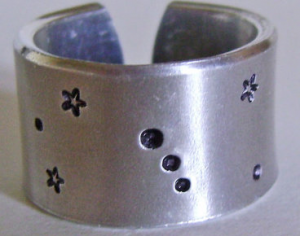 They can look for different shapes that the stars make in the sky, or find the first letter of their name in the stars. Utilize your child’s imagination—have them make up their own myths about constellations that they see. Check out books from the library on constellation myths and use this time to tell a few stories. Here is an updated post from last year….. This 2013 Desk Calendar would look great on a bulletin board or posted on the fridge. 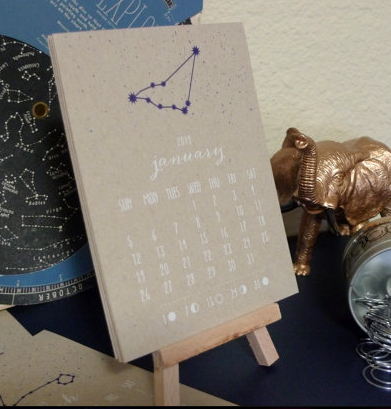 Each calendar has a beautiful sketch of a zodiac constellation and the lunar phases. Don’t forget to circle the important dates in astronomy for the upcoming year before you wrap it! I know that I can always get a tie or a t-shirt for my astronomy-loving-dad. 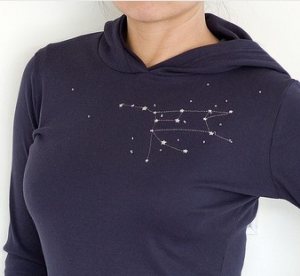 He’s received a lot of t-shirts lately, and I love this tie from etsy.com This great constellation tie might find its way to his stocking this year! 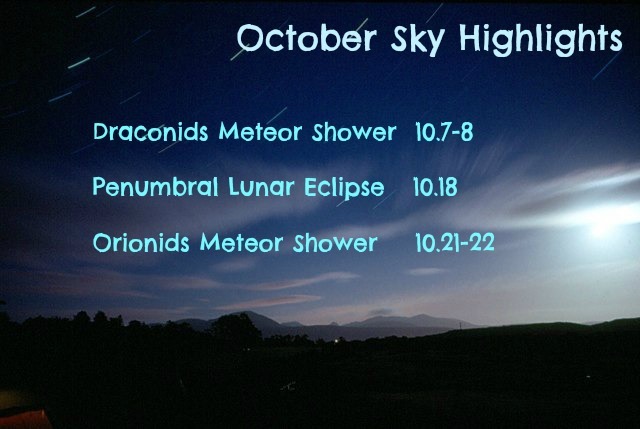 The Draconids meteor shower will peak on the nights of October 7th & 8th, with the best viewing before midnight. While the Draconids aren’t known for producing the most spectacular show, the thin waxing crescent moon won’t be competing for attention. The dark sky along with the early viewing time make this shower a great opportunity for families with young children. Set up a cozy spot in the yard, have their stargazing diaries ready, and prepare a few snacks as a surprise. 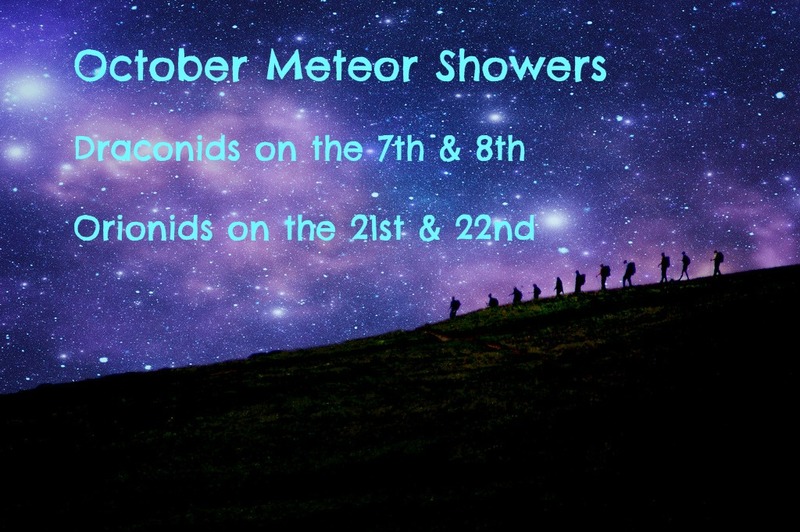 October 21st & 22nd this month, as the Earth passes through the debris from Halley’s Comet, the Orionids meteor shower will fill the sky. This meteor shower will originate from the Orion constellation, which you can find in the southeastern sky late into the night. The best time to view the meteors will be between midnight and dawn. While this early morning viewing time isn’t for everyone, it is a great chance to make stargazing a very special time for your family. Be sure to get your children to bed early on Saturday night, and then wake them in the pre-dawn hours for this special chance to see some “shooting stars“. Sneak in to wake up your children in the early hours, while it is still dark, and tell them to grab their jackets and hats. Be sure to have your stargazing playlist ready to go! Summer Stargazing Three easy steps for summer stargazing with your family– it’s easier than you think! Stargazing Playlist Check out this list of great background music to stargaze by. Having fun songs for the kids (and adults!) can really set the stage for gazing at the stars. Stargazing Snacks Show up prepared with themed snacks to kick off your stargazing time. Have the kids help you make these ahead of time– it will get them excited about the experience. Stargazing Diary Having your children keep a journal of the things that they see in the night sky is one way to make a stargazing event a regular experience. 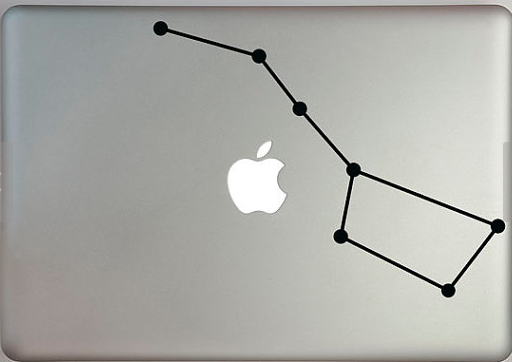 Be sure to print off your Summer Sky Map to locate a few constellations!